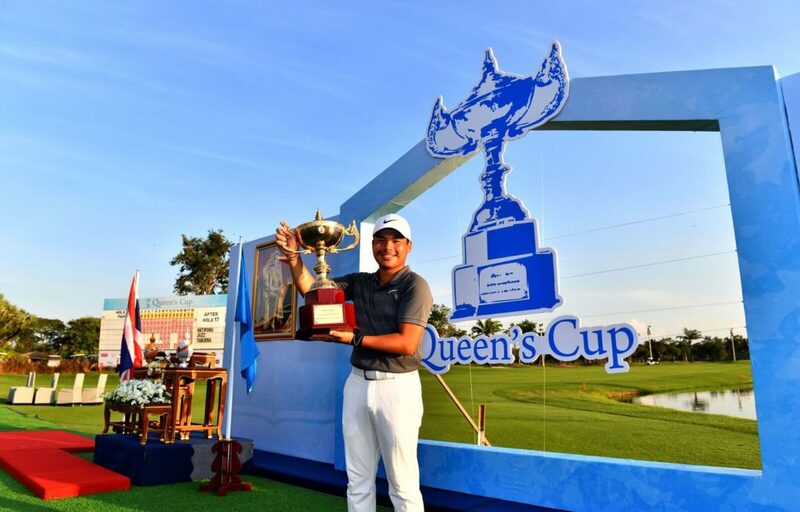 Bangkok, Thailand, December 02: Miguel Tabuena of the Philippines signed for a stunning four-under-par 66 in the final round of the Queen’s Cup hosted by Jaidee Foundation to end a three-year title drought on the Asian Tour on Sunday. Miguel Tabuenaonly dropped three shots all week after posting two consecutive bogey-free rounds in the first and second rounds. The Filipino is huge fan of the Team Philippine’s basketball team. He decided to play the Queen’s Cup this week instead of heading to Mauritius because he would have missed the game if he went to Mauritius instead. He took a career-high fifth place on the money list in 2016 thanks to five top-10 finishes. Johannes Veermanclinched the Asian Development Tour (ADT) Order of Merit title in 2016 thanks to his win at the Taifong Open and five top-10s. The American resides in Texas but had spent 13 years living in Asia. He only dropped two shots all week and his second-place finish marks his best result at the Queen’s Cup since he came in tied-10th in July. Veerman only missed three greens and needed 29 putts in his final round. Jazz Janewattananondhad his new caddy Jacob on his bag this week. Jacob plays regularly on the Thailand local circuit and practices with Jazz at his home course. Jazz was the youngest player to make the halfway cut in an Asian Tour event at the age of 14 years and 71 days. The Thai started working with a new coach, Pete Cowen, just two months ago. Cowen is also the coach of Kiradech Aphibarnrat, who is the highest-ranked Thai golfer.